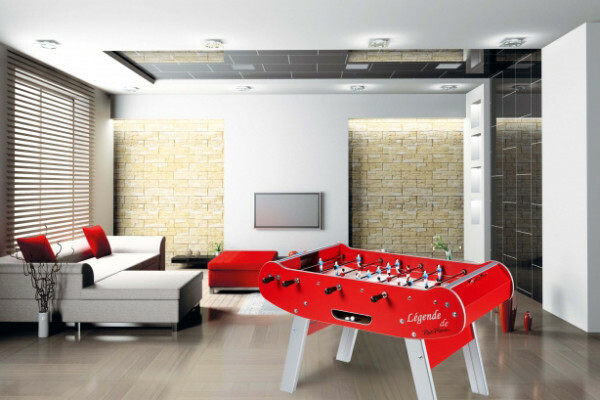 The Legende is an excellent home model table made by Rene Pierre, an extremely well known French manufacturer. 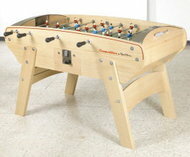 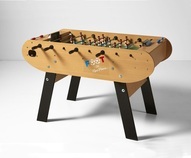 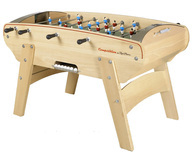 It offers fun for the entire family in a sleek, modern European table design. 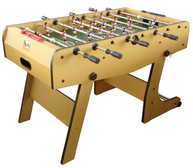 It features a professional grade cabinet that is reinforced with inset legs that add stability. 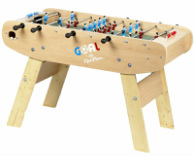 It also has telescopic rods that add safety by not sticking through the other end of the table, make it great if you have young children in your house. 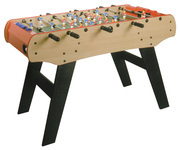 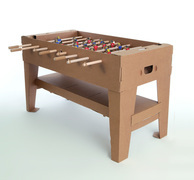 Like all Rene Pierre tables, it has hand painted players and a linoleum playing field that both offer great ball control.